Now we have even more to share. 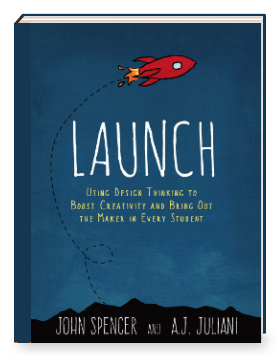 Resources, courses, and step-by-step guides to bring design thinking into your classroom. Sign-up below to be notified when the next webinar will be! We'd love to share Design Thinking and the LAUNCH Cycle with you! © Copyright 2019 A.J. Juliani. All rights reserved.